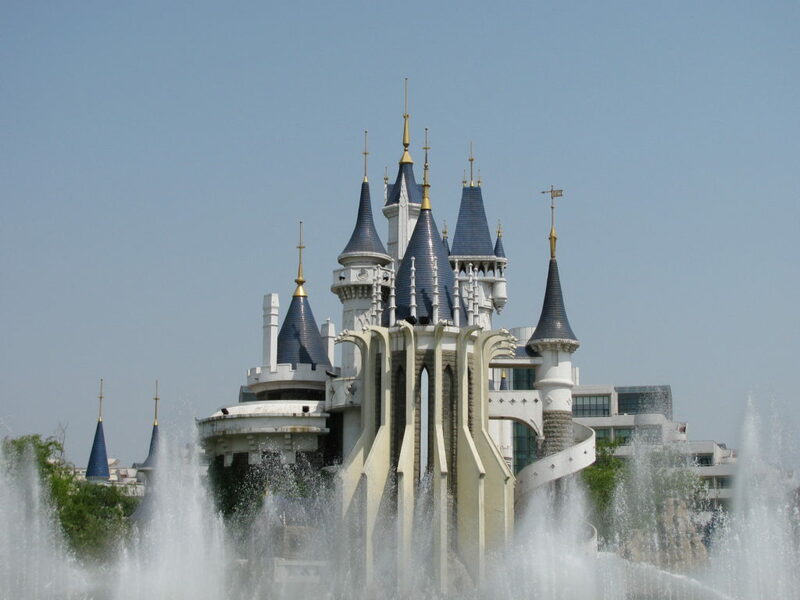 In English, the Mandarin words "Fu Hua" translate to mean "Rich China". 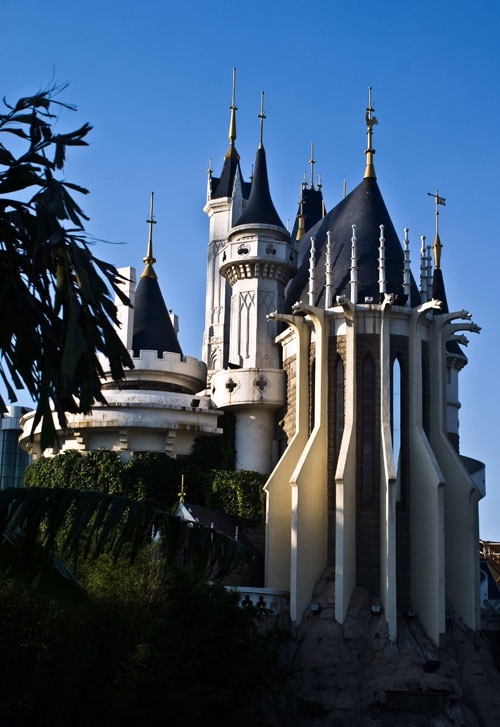 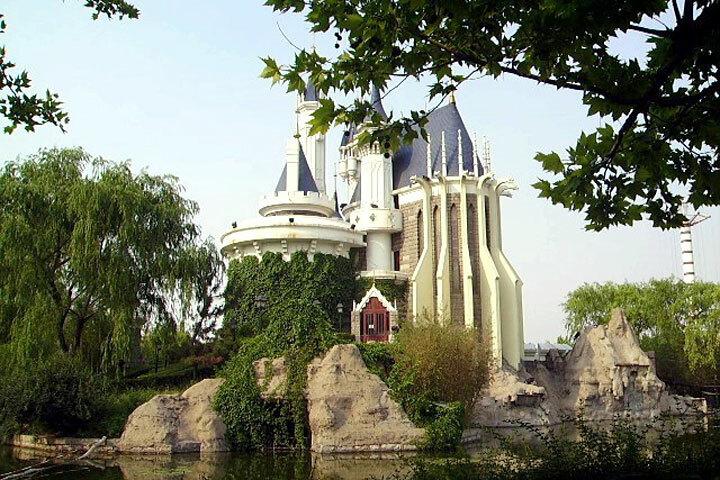 This amusement park project is located approximately 450 miles southeast of Beijing. 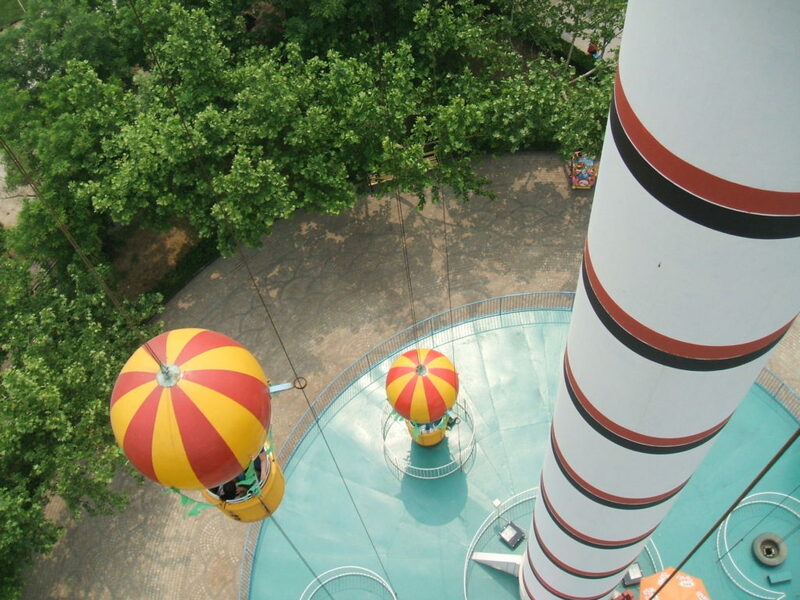 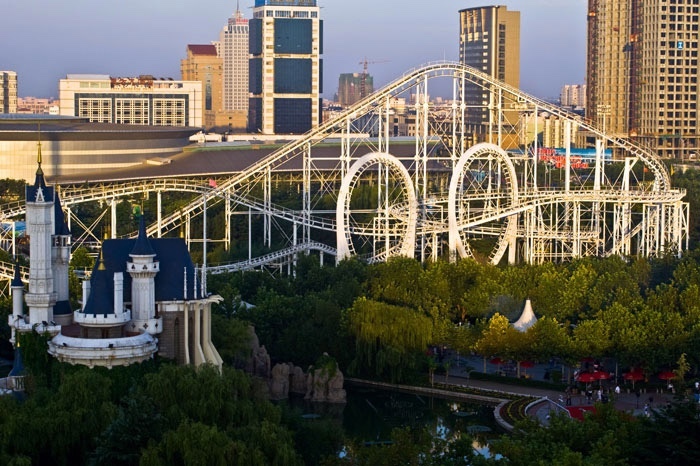 The city of Weifang in the Shan Dong Province decided to spearhead its community redevelopment program with a full scale 20-hectare amusement park project. 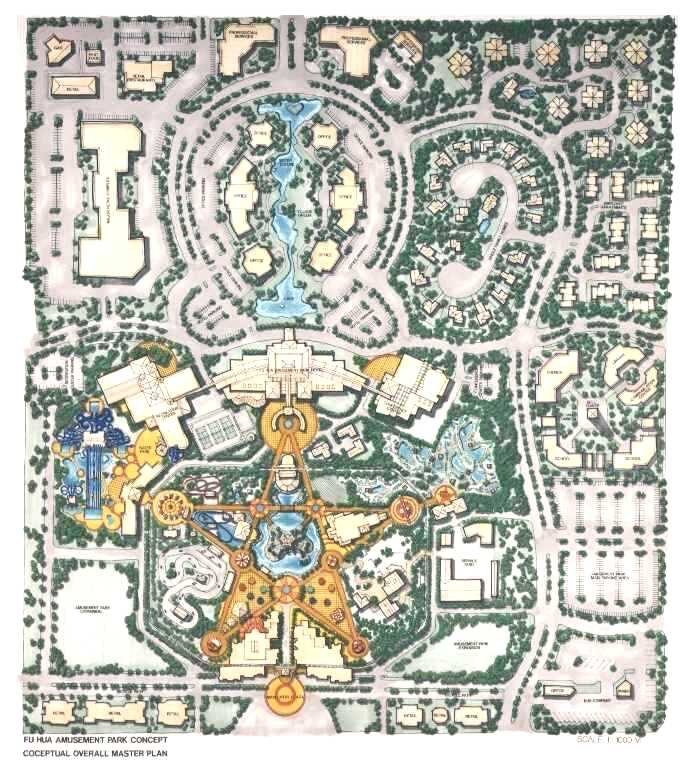 Exline Design & Architecture (EDA) was retained by STARTS International, and Jimswood International, Inc., to develop the master plan and to generate a park-wide schematic design package for this full-scale entertainment project. 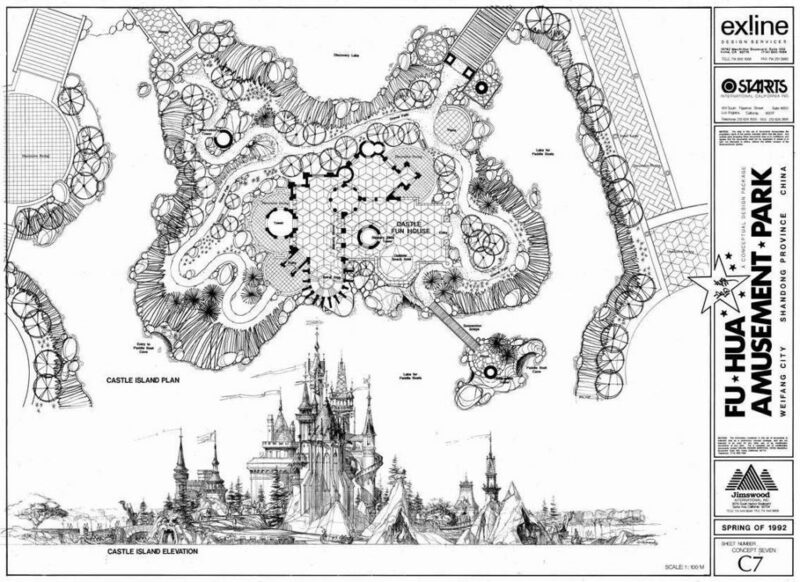 The distinctive guest circulation was fashioned after a five-pointed star, conceived as a strong yet simple symbol for the project's marketing and promotional efforts. 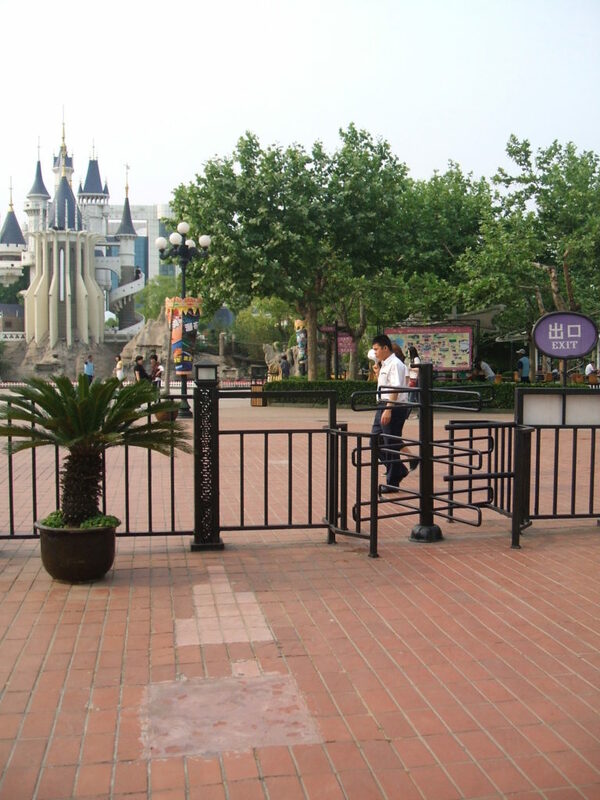 The five-pointed star plan was well received in that it works in concert with the Chinese national symbol of government and the country's Communist Party. 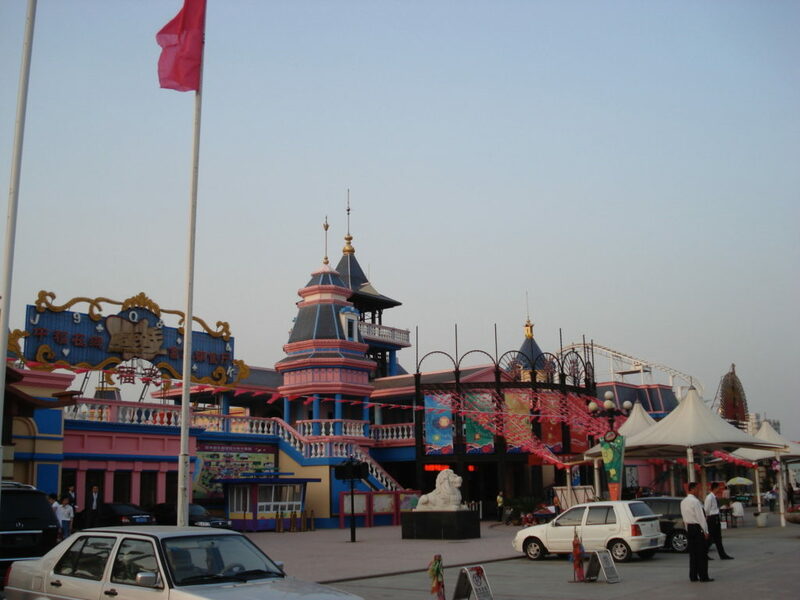 The key elements of the project include a twelve-hectare amusement park with a festive retail complex situated at its main entrance. 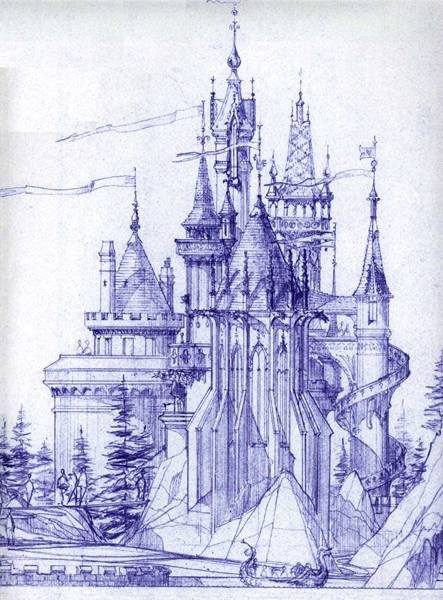 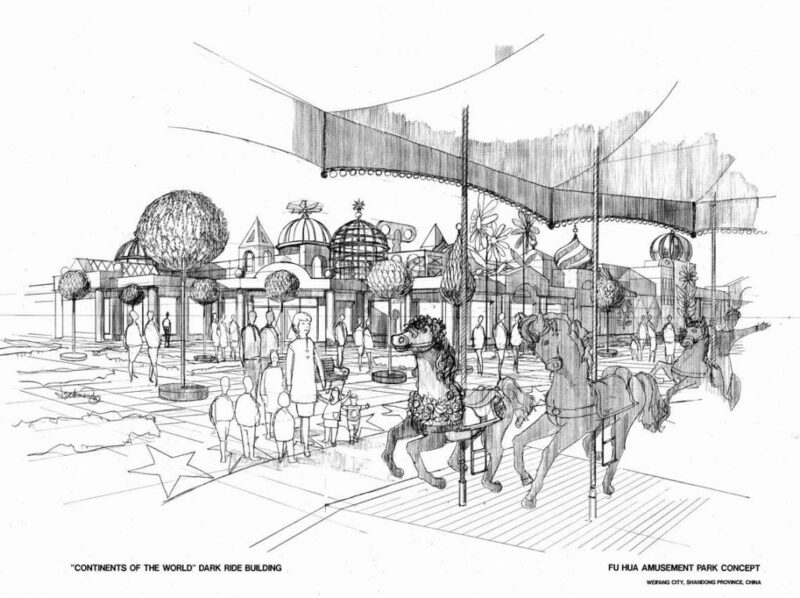 The client requested primary elements of the park to include the "best features of Western theme parks", including a "Main Street" entrance and a fantasy castle at the park's center hub. 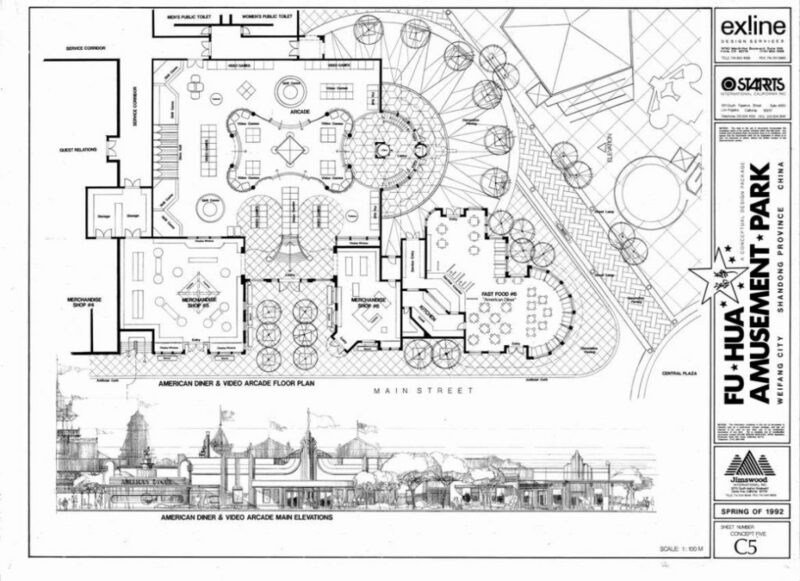 Guests enter and exit the park through "Main Street" as it offers traditional retail and food service opportunities. 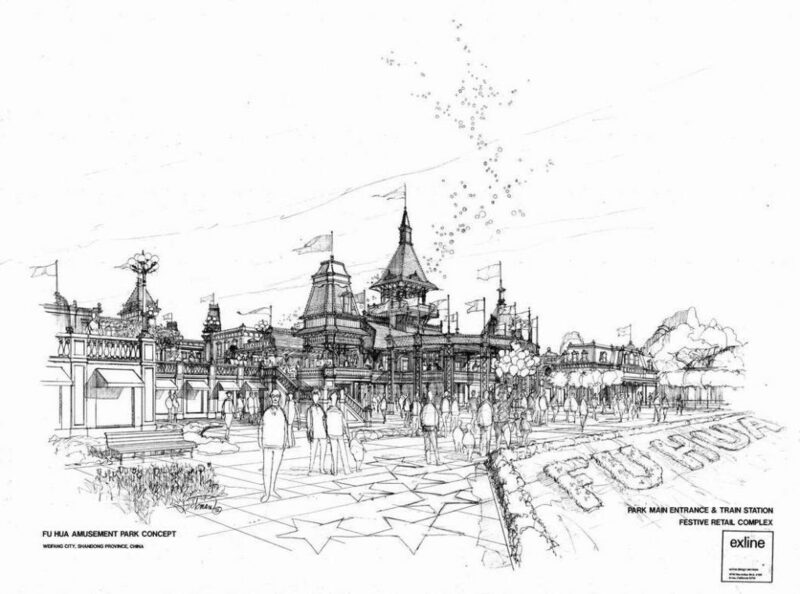 The remaining attraction mix for the park was programmed and developed by EDA, and includes 25 traditional amusement rides and one custom dark-ride experience. 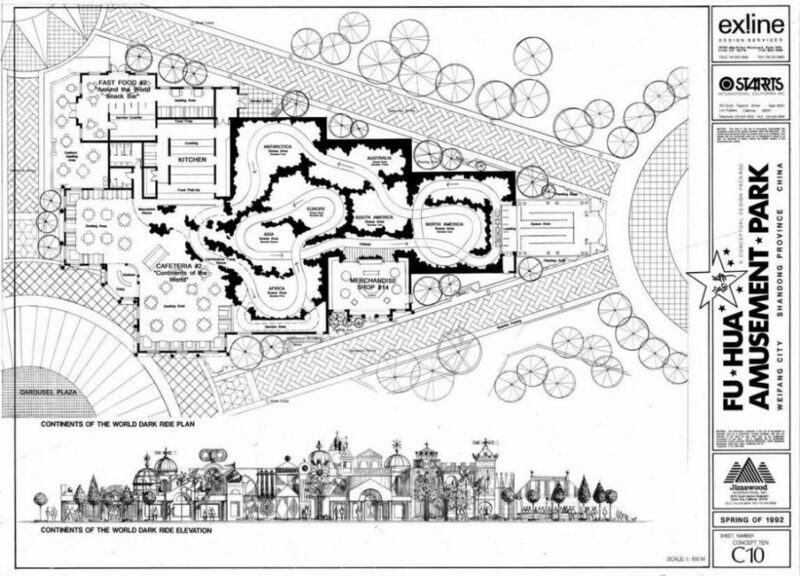 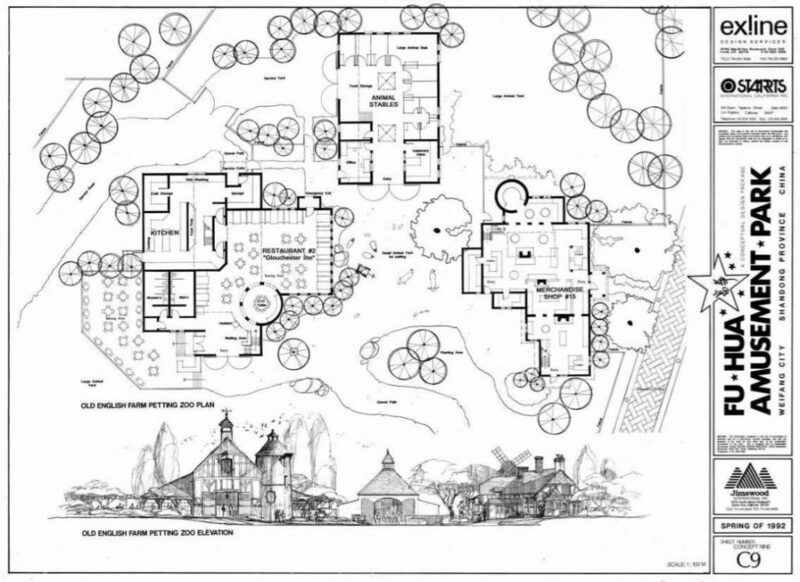 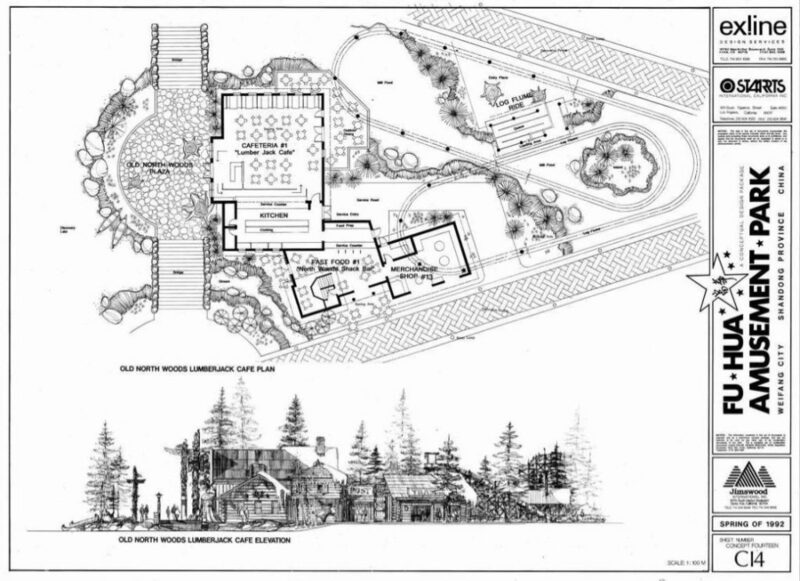 Other project uses include a 250-room hotel providing a secondary entrance to the park. 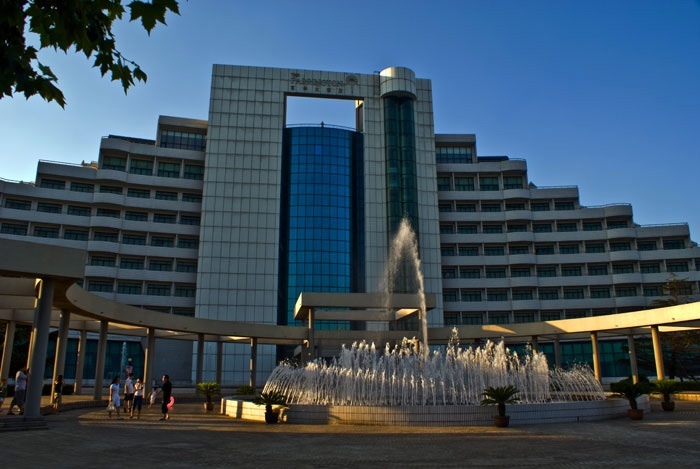 A 7,500 square meter indoor recreation center and a 3,500 square meter conference center flank the hotel anchor. 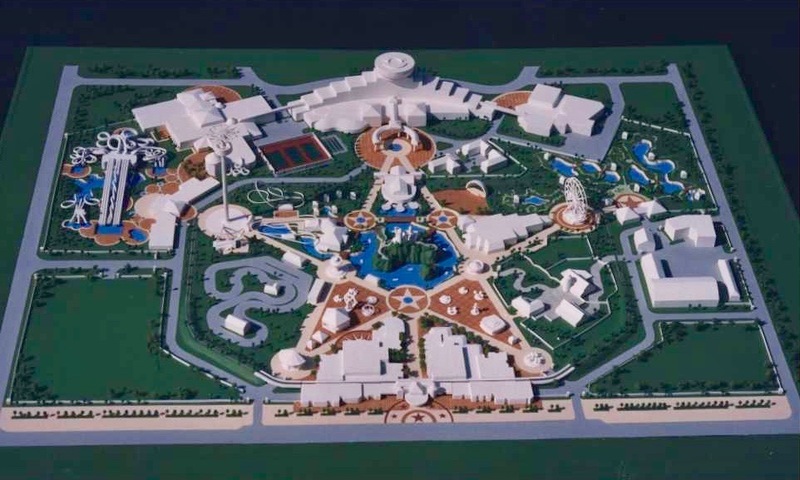 The development also includes a seasonal water park, a 54-hole miniature golf course, and additional programmed area for the park's future expansion. 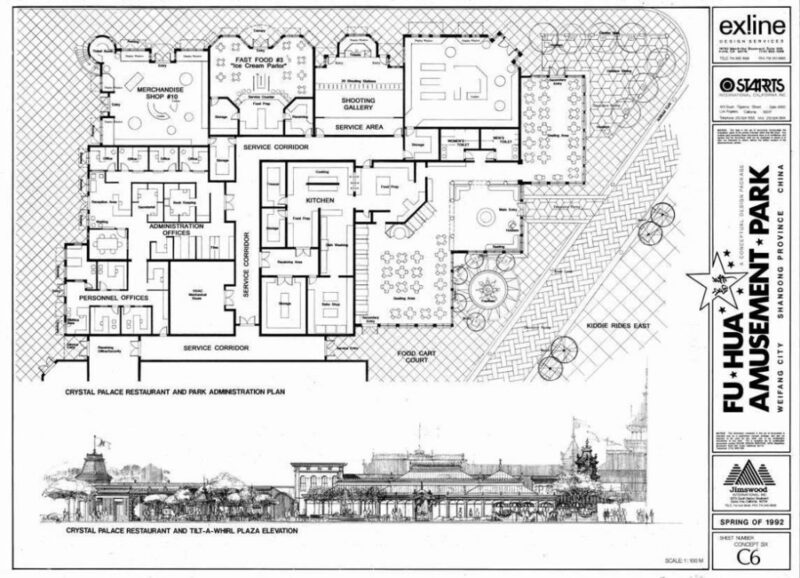 Upon Exline's completion of the schematic design package, design development and construction documentation were relayed to a Hong Kong based A&E firm. 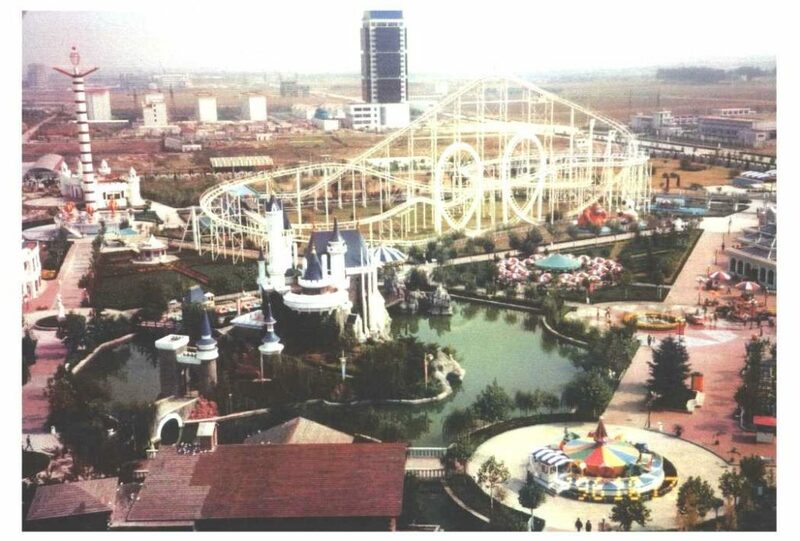 However, EDA was delighted that the finished built project stayed very true to the original SD package! 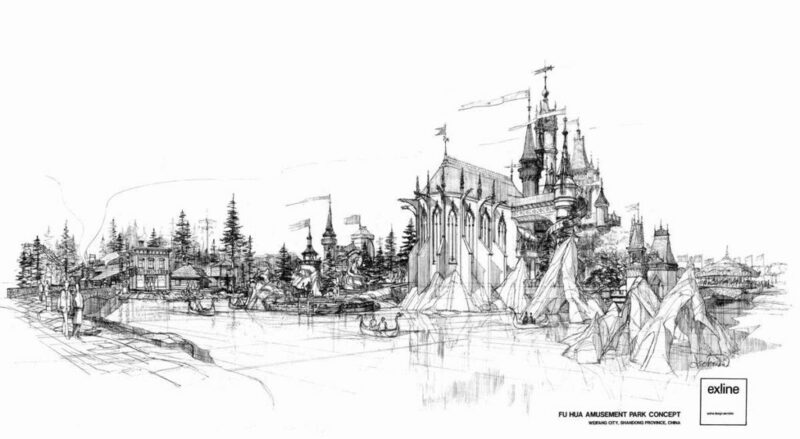 Executive Creative Direction: Mr. David Exline, Exline Design & Architecture; Creative Consultant: Mr. Erick Van Wechel, STARTS International; Project Management: Mr. Davison Wu, Jimswood International; Concept Renderings: Mr. Vern Leckman; Client: City of Weifang, Shandong, China.